elite class for its citizens. Maybe this is partly true, but what I saw from the Department of Trade and Industry’s (DTI) Sikat Pinoy National Fashion Fair at the Megatrade Hall in SM Megamall showed me a different side of fashion. as ready-to-wear (RTW) manufacturing, footwear manufacturing, bag-making and fashion accessories making to attend the National Fashion Fair. While the turnout of the participants was not as high as the first Lakbay Aral, the impact that the Fair had on them was still very good and positive. The stars in this Fashion Fair were not the gorgeous models but the brains and hands behind the business of the products these models endorse. 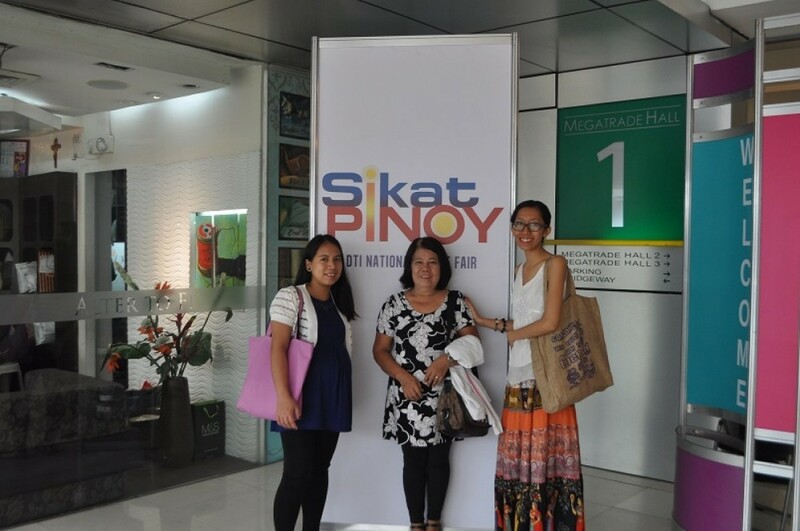 DTI-assisted microentrepreneurs hailing from the fifteen regions of the country (with the exception of region 12) gathered to promote the natural riches of their respective regions, showcase their skills in making beautiful, sellable fashion products and sell them at affordable prices! everyday wear fashion accessories made out of wires, paper and langka wood. 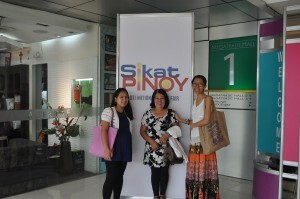 There were fashionable and functional bags and shoewear made out of pandan, water lily and nito. There was even a mini exhibit for the inabel cloth and a full length abaca-made evening gown. mga nakausap ko dun sa Lakbay Aral. Masayang-masaya po ako,” she says. During our lunch together, she was sharing how inspired she was when she talked to a councilor who started a livelihood in her community and is now helping 10 barangays. “Yung handle nung bags niya ay gawa sa cotton cord, colorful at soft yung material, maganda po,” she shared. And this is precisely what we organize the Lakbay Aral for. The article was written by Maria Christine Ann Salazar, Marketing Communications Officer.